This blog began as a record of our journey to cook up an old recipe for a new world. The recipe? Less waste, more joy. And by less waste I mean a lot less plastic. In 2010 our family took a four month plastic fast. It was a symbolic action to help us move beyond our modern day belief that plastic=life. Our goal? 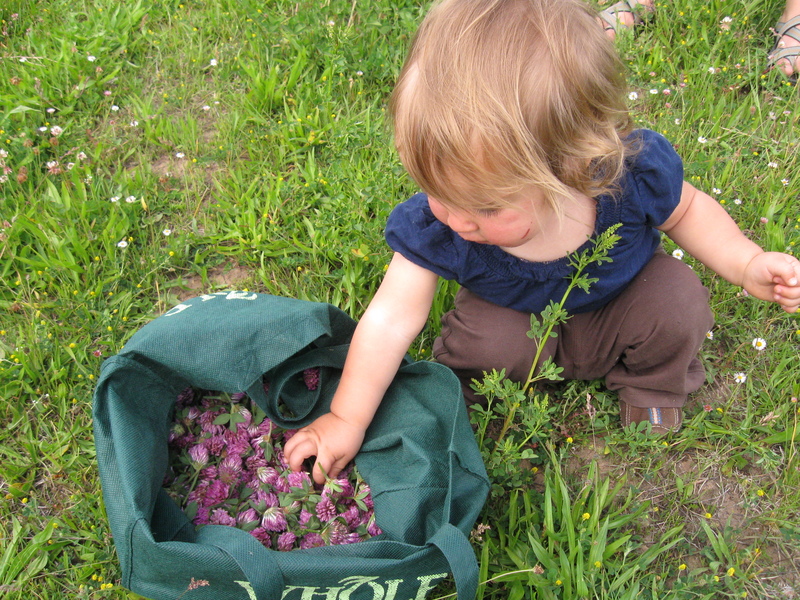 To do a little less harm to the earth in our daily lives, and to experience firsthand the joys of an unpackaged life. These days we don’t have many “rules” about what we can and can’t buy, but we do try our best to bring as much consciousness to our choices as we can. We have chosen to live simply and on a single modest income, to buy secondhand or make our own, to eat well, and to bring a spirit of reverence and gratitude to raising our children, caring for the earth, and to life as a whole. In other words, to let our lives be a prayer for the earth. This blog is an occasional record of our days. Hello Kyce, I met you before and got another look yesterday. I felt your aliveness and energy. I witnessed your care for the earth. Your desire to fight for her. I too am on a similar quest, finding that it takes me inside of myself more and more. Especially this time of year, into the darkness. Where am I not being truthful and allowing my own feelings? Where am I cut off from my connection to the earth? Where am I trying to fill up my heart with material things, to cover up some imagined flaw? I have found that in silence (which is not common in my house with two boys) there is peace for me. Each day I look at my daily tasks, my diet, my desires and needs. I attempt to align those things and see with delight that they also most often align themselves with earth, with her breath, her cycles and with a simpler life. For instance, slowing down, working less, earning less money, but spending far less. More time to garden, make bread, can and dry food for later meals. I don’t have it all figured out yet, but I so enjoy the quest. nothing too special like the sweet extra cycles or anything hip like that – just an old burley bike trailer and/ or our lil red rider town and country wagon – we live only a few blocks away from both a whole foods and a trader joes though so we can shop pretty frequently without it being a nuisance. i used to only go every other week. Hi Kys, nice to read your thoughts. You and “E” have inspired me! Why is it that so much “healthy” food is in plastic packaging? Will passon your blog to other likeminded folks! Hello to your family from us! Have just found you and gain further inspiration and motivation from you. I love E’s quote about hopelessness and will continue my small steps and continue to believe in the possibilities of synergy. Love and regards from australia. Hey! I stole E.’s quotation for my facebook quote. I love this connection to your life…beautiful. Hello Kyce, I enjoy your blog a lot a lot a lot. Like so many others I have been inspired by you and your family. I have a tumblr blog, called As If by On Porpoise, where I share links and guidance for living healthier (personally and environmentally), and there I shared your “how to be an extreme eco housewife..” post. Then it occurred to me that I should ask you if that was ok, but I do not see an e mail on your page, so I am hoping you get this comment. I’ve never followed a blog before, but found out about yours in the Sustainable Santa Fe magazine, and was compelled to check it out (shortly thereafter, I made the reusable bulk bags:). I really connect with your focus on the small, everyday ways that we can make a difference. It can be scary to confront environmental challenges and feel like we have the capacity to change things. Thank you for your thoughtful, humble posts. I’m also a young momma in northern New Mexico trying to live with respect for all of Earth’s life. Blessings. Hello Anne, Thank you for saying hello and for your kind words. I hope someday our paths cross and we can talk about all this in person! HI lovely!! Congratulations! I have awarded you the One Lovely Blog Award. You have a wonderful blog and I think the world needs to know about it! Check out my site to see the post with the official nomination, Seedsandstones.wordpress.com and you can find the graphic there as well.